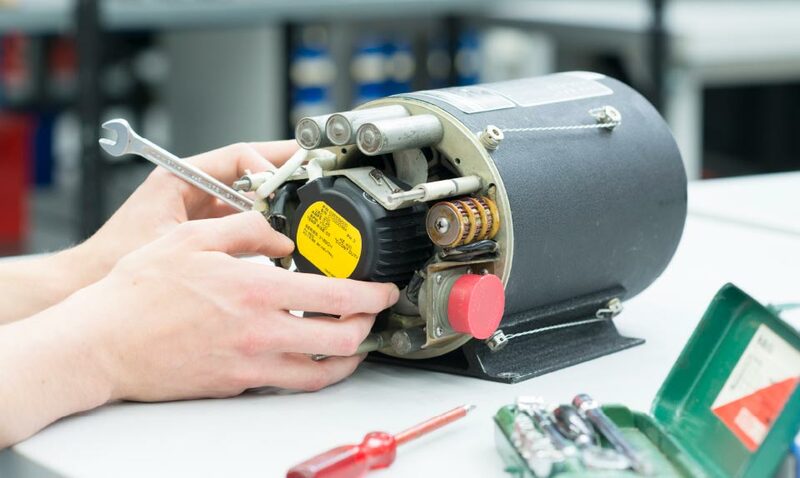 Whenever manufacturers discontinue products, repair skills are no longer available or there is a risk of general obsolescence – ENTRAK is your competent partner and solution developer. We monitor availabilities, ensure repair skills and eliminate obsolescence – pro-actively or also retro-actively. We are able to re-design and build replacement parts and to develop appropriate test methods. Needless to say, we can also certify the replacement parts with customers and authorities. An electronic engineer examines a transformer rectifier of the P3-C Orion. In this case, the diodes have become obsolete. A suitable alternative has already been found. The qualification and approval process then commences. An electronics engineers examines a transformer rectifier of the P3-C Orion. In this case, the diodes have become obsolete. A suitable alternative has already been found. The qualification and approval process then commences.